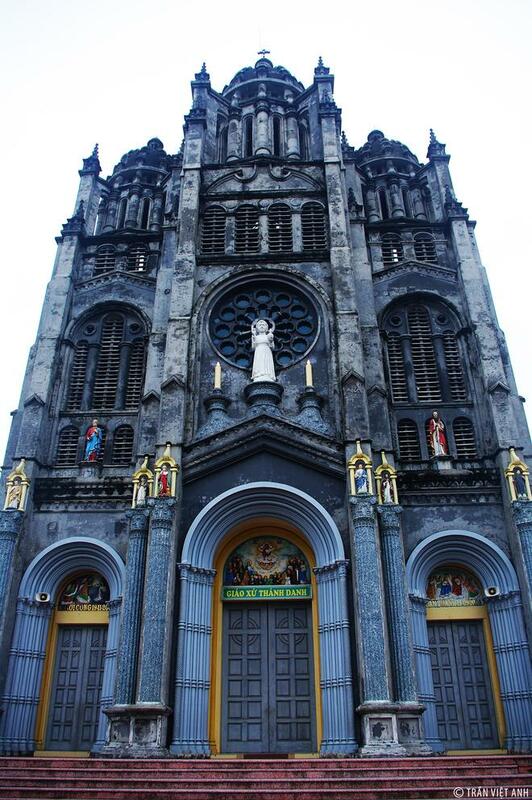 VietNamNet Bridge – The northern city of Nam Dinh is known as the home to many Roman Catholic beautiful churches. 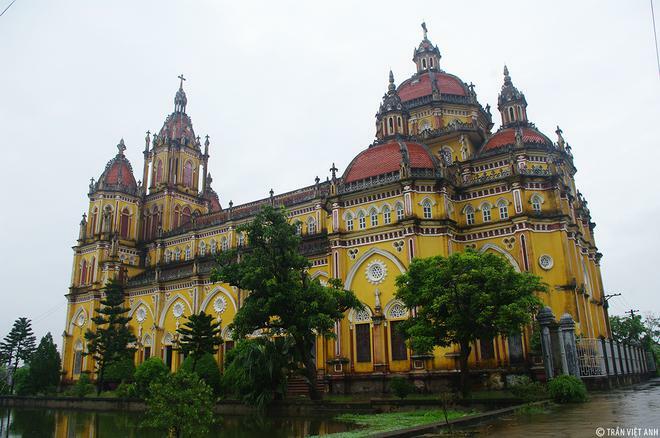 Located in Xuan Ngoc commune, Xuan Truong district, the church was built in 1885. 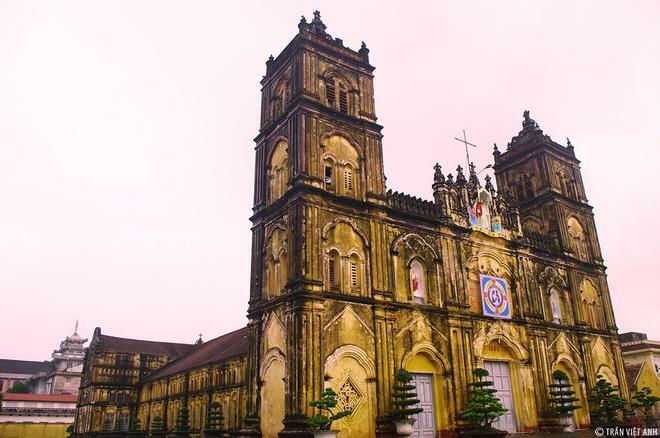 After more than 100 years, the Diocese of Bui Chu is still majestic and superficial. With a length of 78m, a width of 22m and 15m high, this church hosts many important events. 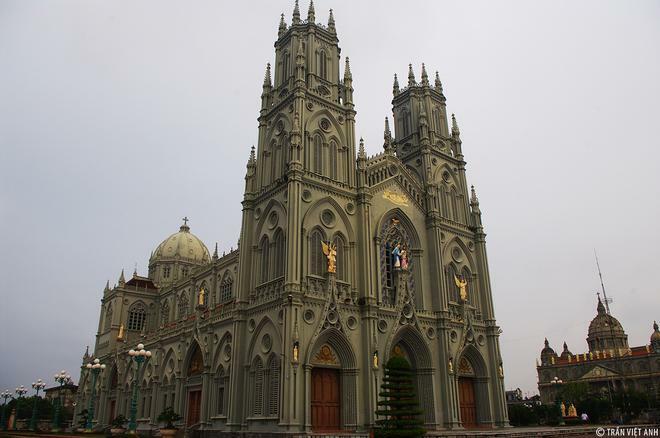 The diocese is reportedly Vietnam’s first place where Catholicism was introduced by foreign missionaries in 1533. It is also the cradle of Catholicism in the country. French Bishop Pierre Lambert de la Motte, one of the first two bishops of the Catholic Church in Vietnam, founded the first indigenous congregation of Adorers of the Holy Cross in the diocese in 1670. The church, located in Xuan Phuong Commune, Xuan Truong District, was first built in 1866 as a small temple, but was later renovated and expanded. 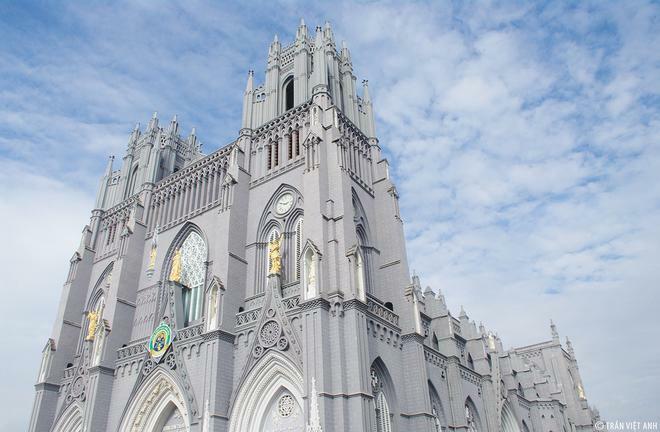 It is considered the biggest church of Gothic architecture in Vietnam, with 30m height, 28m width and 80m length. There are 2 bell towers with 44m height, containing 4 bells. It has statues stuck on the surface of the walls or the doors. Kien Lao Church is located in Xuan Tien commune, Xuan Truong district with a length of 75m, 26m wide, 28m high and a 46m high bell tower. On the two sides of the church are lakes and rows of street lights. The church is located in Xuan Ngoc commune, Xuan Truong district, 1.5 km from the Diocese of Bui Chu. This church was built in 1928 and it is very beautiful. This is one of the favorite places of couples to take wedding photos. 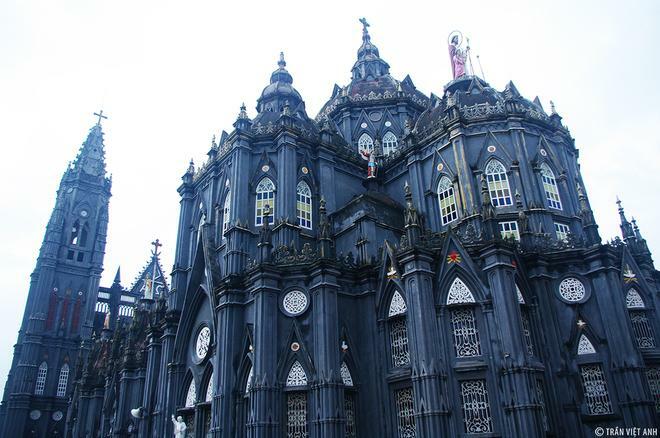 The church is in Xuan Trung commune, Xuan Truong district. It is famous for carved murals related to the classic reference in the Bible. Located in the heart of Nam Dinh City, the church has a simple design but still exudes serious contemplation. This church looks like a castle with fine details. 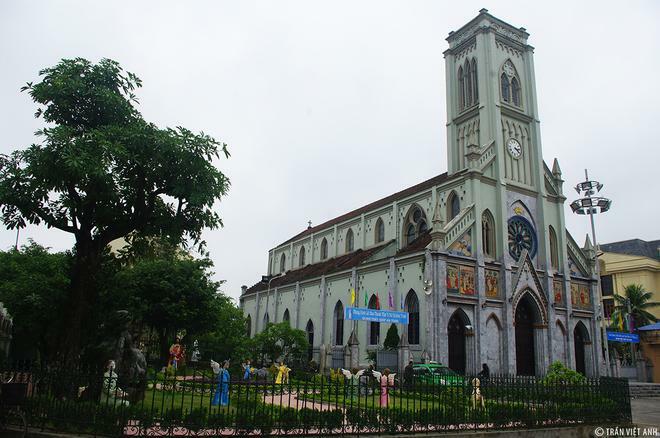 This church is located in Hai Hung commune, Hai Hau district, built in 1927 and renovated in 2000. The church is located in the coastal commune of Giao Thuy, Hai Hau province, with tile roofs and wood frame like Buddhist temples in Vietnam. The combination of European-Asian style is familiar to Vietnamese. 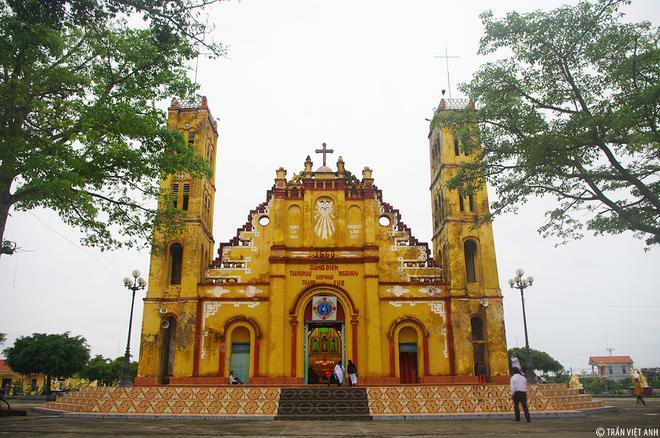 This church is in Bui Chu parish, with quite distinctive architecture. Through the ups and downs of history, wars, and weather, the church fell into disrepair and it was rebuilt in 2007. 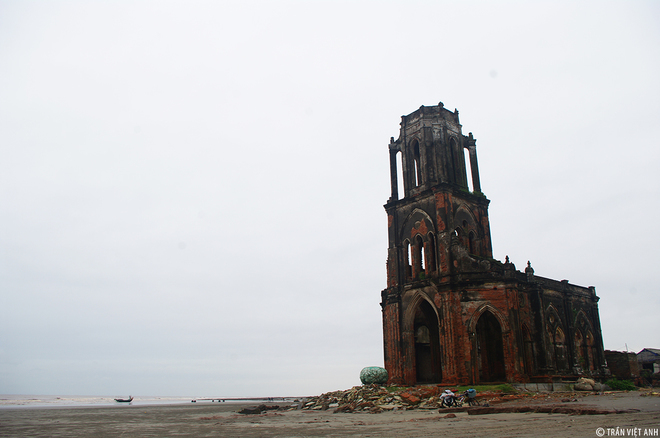 Although it is sesriously damaged, the church on the coast of Hai Ly commune, Hai Hau district is still one of the favorite destinations of tourists. 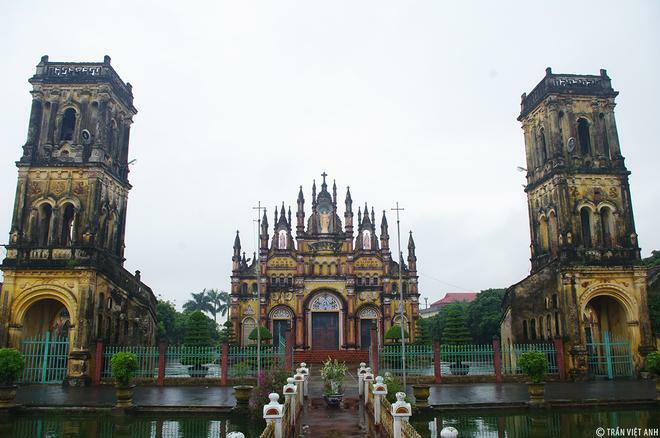 In the past, the coast of Xuong Dien in Hai Ly commune, Hai Hau district had many large and small churches. However, over time, seawater encroached on the coast and damaged these churches. Parishioners moved the church deep into the mainland three times to avoid the "invasion" of the sea. The damaged church on the coast of Xuong Dien named Trai Tim (Heart) has been abandoned since 1996. The best time to take photos of the church is around 5am or 6pm.